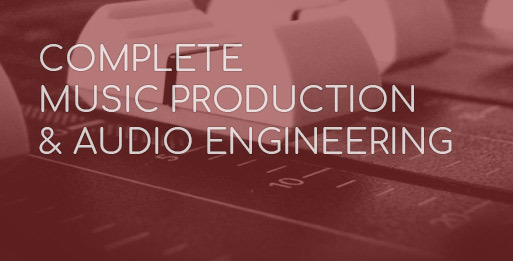 Carve out a career in the audio engineering industry! Perfect if you’re a beginner who has never produced music before, or if you’re self-taught. If you are an instrumentalist wanting to work and record others, make the most of your talents! Learn music production with Ableton Live, and audio engineering and recording techniques on Pro Tools. Rather than needing a studio engineer, you’ll train to be one. Training is backed up with the Music Composition module, so you’ll learn to arrange and write chords and melodies. You’ll also work on real-life scenarios that studio engineers and TV producers come across. Live recording bands, commercial sound design and syncing to radio, games, film and TV. You’ll finish with a diverse portfolio that’ll make you stand out. Music Production and Audio Engineering: 1x6hr daytime or 2 evening lectures weekly (6 months). Music Composition: 7pm-10pm on Mon or Wed (3 months). The Audio Engineering module is an ideal progression for those who have completed the Introduction to Music Production, or Advanced Music Production modules. This module is for those who already have a working knowledge of music production using a DAW. It’s suitable for those wanting to expand on the opportunities that their music production skills can give them. The module provides a series of real-life scenarios in which those working in the audio industry may well come across, giving the students opportunity to apply their learning in a practical way. For example, students will learn to follow briefs, in order to create radio adverts and music to film – all elements which can be compiled to create a strong showreel for their future careers. Learn from industry active producers and engineers who have achieved a huge range of releases and credits to their name. Create a sample pack, record and produce a full band, setup and execute a gig in a live environment, create music for film and radio, ADR (dialogue replacement) for film. This course is going to catapult you into the music industry. You don’t have to be into rock music to get the most out of Audio Engineering. It’s still highly relevant if you prefer electronic music. This hands-on course will help you develop confidence working with people as well as audio. You’ll build a strong creative portfolio – learning to produce, record and sync. You’ll be in line for work experience placements, which will close the gap between studying and working in the music industry. None. Suitable for beginners or self-taught producers. No software, equipment at home or prior qualifications needed. Add Advanced Music Production to increase understanding of sound design and mixdown. You will finish producing music confidently with Ableton Live. 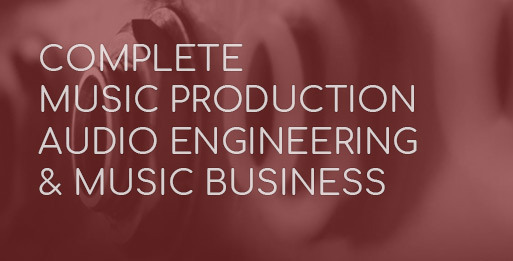 You will also have the skillset of a studio engineer, and a strong supporting portfolio. From 12 – 48 months, from £109 per month.